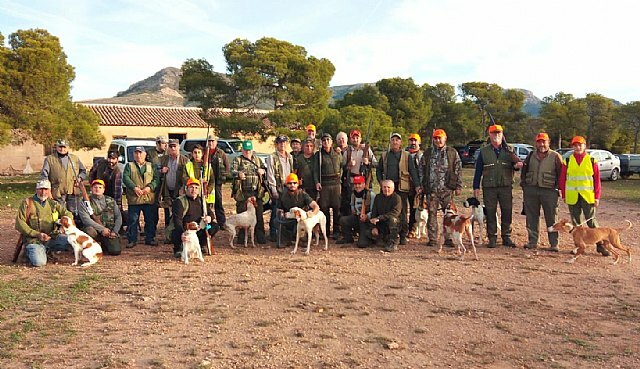 Yesterday, Sunday, framed in the Festival Program in honor of our PATRONA, was held the XXXIII Championship of Small Game with Dog, organized by the Society of Hunters SANTA EULALIA of Totana. 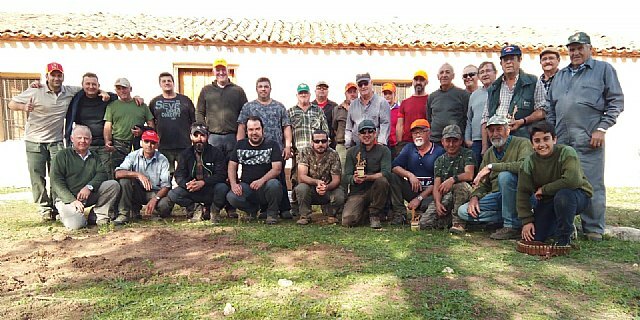 About thirty participants gathered at about 08:00 in the morning at Casa Don Ginés, located in the well-known spot of "Llano las Cabras" and after recharging batteries with some churros and chocolate, the test began. The weather accompanied the passing of the hunting day, with a clear sky and a light breeze fresh, oxygenated the willful hunters and their tireless dogs, who did not stop venting the pieces and give sample of their qualities, to draw on the precious land sets that delighted their passionate owners. After the arrival to the control of the participants, the trophies were handed out to the first classified of each modality. How could it not be better, the day of coexistence was closed with a great meal in the restaurant "Casa Gregorio".